The Rufus & Coco Mesh Multi Purpose Lead is lightweight, stylish, comfortable and secure. It features an adjustable length and reflective stitching for night time visibility. "I'm not just any ordinary pup, so my lead needs to be special too! 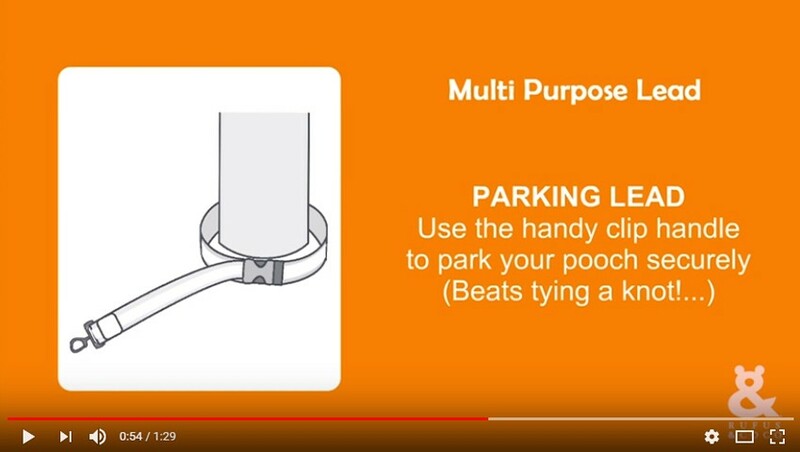 That's why the Rufus & Coco Multi Purpose Lead is so pawsome! It can secure me using the clip handle, keep me close by my mum's side by adjusting the length or allow me to just hang out! I'm as happy as a flea in a dog's house..."